When asked why nutritional cleansing is important, the answer is both simple and complex. The simple answer is that it is good for both the inside and outside of your body. The complex, and exciting, part is how a nutritional cleansing improves the inside and outside of your body. The Isagenix nutritional cleansing program is both nutritionally safe and effective, but it also helps to regenerate mental clarity and physical energy that have become sluggish and clogged down with invasive free radicals and toxins. The world we live in today is full of man-made and natural toxins. They are in the air we breathe, the clothes we wear, and the food we eat. While we do our best to clean our clothes, bath our bodies, and use air filters, the majority of external toxins remain active. There are pollutions, such as chemicals and pesticides, in the air, and man-made chemicals, such as perfumes and dyes, in our soaps, shampoos, body creams, and colognes. Toxins have a sneaky way of entering our bodies just by landing on our skin. But, the vast majority of toxins inside our bodies, the ones that interfere with our well-being, are the toxins, chloroform, and additives that we ingest from foods and liquids. These are preservatives, artificial coloring, and synthetic ingredients introduced by the food industry for extended shelve life and for visual appearances. 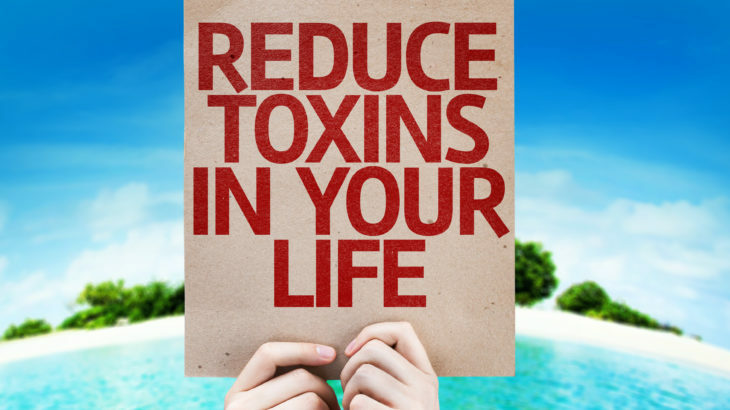 Those toxins that our body cannot eliminate on a regular basis will take up residency, and refuse to leave without an eviction notice. And that is what an Isagenix nutritional cleansing does to our bodies, it acts as an eviction notice to free radicals and harmful toxins. 1. With essential herbs, vitamins, minerals, and enzymes, Isagenix can accelerate the toxin elimination process and reverse the sluggish metabolism within your small intestine, kidney, liver, and colon. It is through these organs that toxic waste is removed from the body. 2. Healthier, more productive, hormones can assist in fertility, and reduce the possibilities of passing on harmful genes containing toxic invaders living within our ovaries and sperm. 3. With less harmful toxins in your body, you will see wonderful results on the outside of your body. While the rewards are endless, you will appear more youthful with healthier skin, nails, and hair. 4. Regular cleansing helps to eliminate, and resist the regaining, of excess weight. Maintaining a normal weight also serves to increase your energy levels, reduce cravings for fatty foods, and helps to eliminate digestive problems. 5. A strong, well-functioning, internal system works to maintain healthy lungs, heart, and nasal capacities. This reduces breathing problems and allows you to sleep more soundly and peacefully throughout the night. With the loss of excess weight and less pressure on your lungs, a cleaner internal system may help to reduce the symptoms of sleep apnea, and provide you with additional resistance to seasonal viruses and colds, and reduce the potential for chronic diseases. 6. A positive sense of wellbeing is evidenced with renewed mental clarity, fewer headaches, and reduced or eliminated pain in your muscles and joints. More beneficial effects of regular nutritional cleansing are being discovered every day. You can think of your body as the finely tuned machine that it is. You were born with a pristine system like that of a Ferrari. With routine maintenance, you can maintain top performance. But, without due diligence, someday you’ll look in the mirror and see a jalopy where a race car used to be. Regrets are only good for making the wrong choices when you knew what the right actions needed to be. Nutritional cleansing are one of those right actions that will leave you with no regrets. You owe it to yourself to live the best, healthiest live possible. And scheduled nutritional cleansing can assist you with your personal wellbeing throughout your long, long life. Simple as this sounds, it is very true: Try it, you’ll love it. Nutritional cleansing is best achieved by providing your body with right vitamins, minerals and antioxidants, Isagenix have great products to help you cleanse your body. We recommend starting on the Isagenix 30 Day Nutritional Cleanse or the Isagenix President’s. Isagenix nutritional cleanses come with a range of products to support the cleansing and detoxing process.